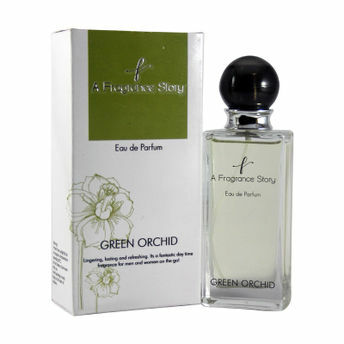 Immerse yourself in the mystical scent of the Green Orchid perfume from A fragrance story. A smell that enchants and amuses, lingers and refreshes, all of this at the same time. For men and women on the go, ready to seize the day, this scent is an ideal must-have that will keep you fresh and vibrant all day long. It emanates a pure scent which lasts long. Belongs to the Green Floral family. Explore the entire range of Perfumes (EDT & EDP) available on Nykaa. Shop more A Fragrance Story products here.You can browse through the complete world of A Fragrance Story Perfumes (EDT & EDP) . Address of Mfg / Importer / Brand: 767/3, Bhandarkar Road, Pune 411004.